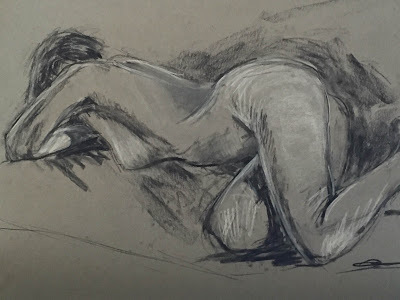 Join Confluence Gallery for another series of Life Drawing workshops. Facilitated by Robin Nelson-Wicks, these sessions feature a live model in a two-hour session format. Each session will have opportunities to draw figures in quick gestures, short poses and long poses. A materials list will be provided and all levels are welcome to participate. *Wet mediums like tempera, watercolor, gouache and pastels will now be allowed! The Gallery is hiring models at $50 per session. If you are interested in sitting for these classes please contact us!